We will not quit. We have our new designs complete - we think the new innovations are totally awesome - we have prototyped most of the features of the new grill, and are eager to get back into production. This will be the best charcoal grill ever. We simply did not have enough money to release the new product. We are seeking investors to re-launch the company and get back to doing what we truly love. If you would like to be updated on our progress, I'd be glad to add you to our email list. Click here to be added to a notification list. 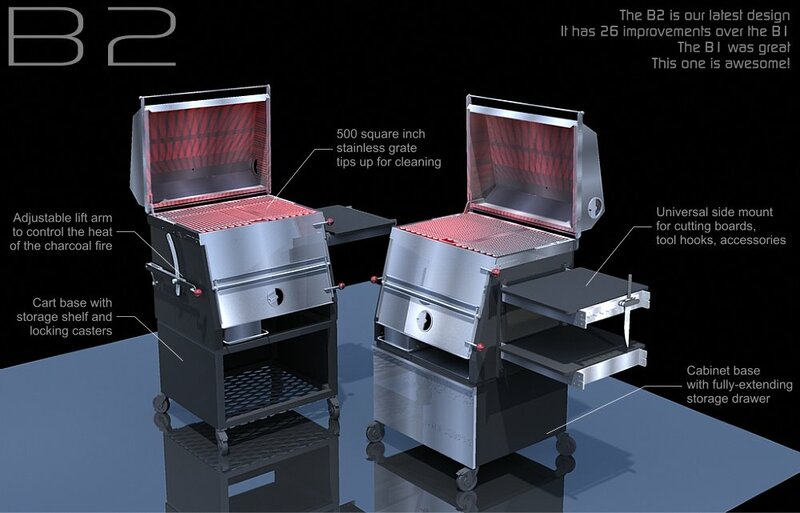 Read about our advanced grilling equipment. Here are some detailed recipes that people will rave about. Who are we? It takes a leap of faith to buy something like this over the internet. Read about us here. Copyright 2009-2012 German Grill LLC. All rights reserved. Patents pending on all technologies.